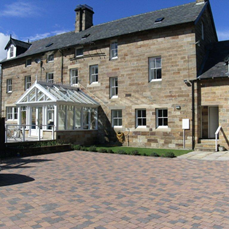 The Old Mill B&B is set in a fantastic location on the banks of the river Esk next to the famous stepping stones. It has been completely renovated and offers quality accommodation throughout and include a guest lounge and conservatory. Centrally located within the village we offer the perfect retreat to stop and relax or just explore the fantastic North York Moors and surrounding coast with local train and bus service to surrounding locations Whitby, Scarborough, Robin Hoods Bay, and the North York Moors Steam Railway, close to all amenities. Fantastic area for walking and cycling.